Nitin Gadkari on Thursday had said that if roads were found to be in bad condition, he would run a bulldozer over the contractor concerned. 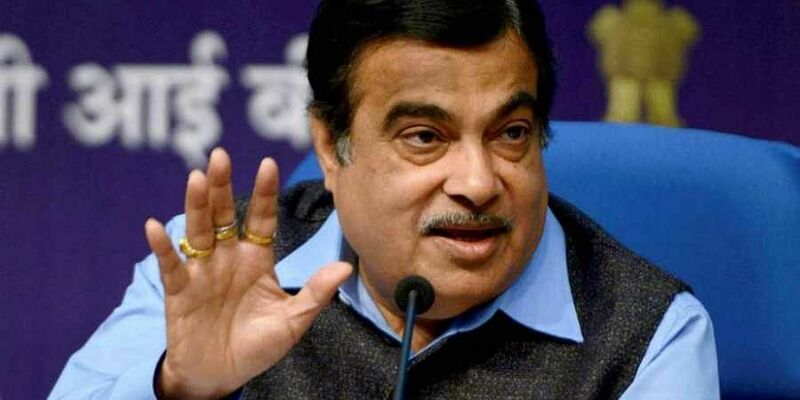 Union minister Nitin Gadkari on Friday fainted on the stage during an event in Rahuri near Ahmednagar in Western Maharashtra, about 275 km from Mumbai. The incident occurred when he was standing with other dignitaries for the National Anthem at the convocation function of the Mahatma Phule Krishi Vidyapeeth (MPKV) Agricultural University. Gadkari started feeling uneasy, lost his balance and collapsed on the dais. Maharashtra Governor C Vidyasagar Rao and some others rushed to prevent him from falling. The Minister for Road Transport & Highways, Shipping and Water Resources, River Development & Ganga Rejuvenation was examined by a team of doctors present at the venue. "I felt some suffocation during the event. The pandal (at the venue) was air-tight. I was wearing the robes of the convocation ceremony, that is why there was less oxygen. That is also why I fainted. My health is alright. (I have) no problem of blood pressure or sugar (now)," Gadkari told reporters. Earlier, the minister had attributed the incident to low sugar in his body. "Had slight medical condition due to low sugar. I have been attended by doctors and I am doing well now. I thank all of you for all the well wishes," Gadkari had tweeted shortly after the incident. He was later flown to his home town Nagpur and the rest of his engagements for the day have been cancelled, officials said. On Thursday, the union minister had made a controversial remark while warning road contractors of dire consequences if they indulged in corrupt practices. Gadkari said that if roads were found to be in bad condition, he would run a bulldozer over the contractor concerned. His comments came hours after the Supreme Court expressed concerns on road quality and termed the 14,000 plus deaths on account of potholes as "unacceptable", as the number was higher than lives lost in terror attacks. A bench headed by justice Madan B Lokur Thursday said the large number of deaths caused due to potholes across the country was "probably more than those killed on border or by the terrorists".